As my plane reaches cruising altitude after taking off from Ezeiza (Buenos Aires’ international airport) for the long journey to Beijing via Frankfurt, I plunge into my laptop to capture some of my experiences during this journey that began ten days ago. I arrived to Argentina last week from Lima. 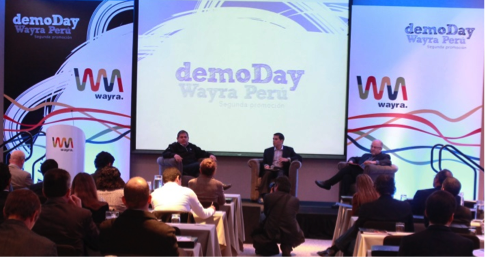 I was invited to deliver a keynote and be part of a fireside chat during Wayra’s Demo Day. My periodic visits to Lima make me a witness of the fast transformation of Peru as a vibrant economy and its integration to the global concert of nations. Wayra, Telefonica’s corporate incubator, is making an effort across 12 countries (mostly across Latin America) to move the needle in the evolution of the entrepreneurial ecosystems within the countries where it operates. Wayra represents a kind of enlightened Corporate Social Responsibility with great multiples! In vast contrast from landing in Peru, landing in Argentina is like returning to the past. The country refuses to learn from history traversing similar failed paths and repeating parallel mistakes. Every week a new corruption scandal shifts the public discourse and the dinner table conversation from the prior week’s scandal now already forgotten. Argentina’s reality show exceeds any possible fiction, making the TV news program lead the ratings as the most entertaining, surpassing even a soccer game! The institutional lies permeating every aspect of Argentine society has eroded the public trust requiring a bigger lie to cover the prior one. Its magical realism make the lyrics of Enrique Santos Discépolo’s 75 year old tango “Cambalache” more relevant today than even in the past! los ignorantes nos han igualado…. While Argentina is preoccupied in its de-construction, Argentine entrepreneurs are hard at work constructing new dreams. This apparent contradiction is fueled by the quality of the country’s human capital. Historically, Argentine professionals could use the escape valve to emigrate as they were welcomed in the USA or the European countries of their ancestors. However, the global crisis, has made that possibility largely unavailable. Argentines with her leadership and policies. Today, Argentine entrepreneurs are enabled to start their own ventures by the lower barriers to entry in certain technology sectors and facilitated by low opportunity costs. Young and confident, the country’s innovators and entrepreneurs are giving up very little to take the plunge and launch their new ventures. Corporate salaries are low (even lower when computed with the dollar blue, the free market floating rate) and careers are doubtful in enterprises that are afraid to plan for the uncertain medium term (forget about long-term planning). To conclude, Argentine business’ daily existence is driven by constant required trade-offs to assure its own immediate survival giving up any semblance of excellence. Competent programmers, engineers and able business managers have made arrangements of continued support from family and friends for their personal survival and pursue the “next big thing.” Their quest to build their new venture is facilitated by (1) low barriers of entry, due to the democratization of technology, (2) their professional competence, enabled by what remains of a good educational system and (3) a global mindset, still a society constant since these Argentines are the product of immigrant parents or grandparents. Furthermore, they have grown up in an environment that has trained them in an environment that requires smart optimization of their limited resources and street smarts that require extreme flexibility, due to the country’s increasing unpredictability. In other words, Argentine entrepreneurs are well prepared to lead their start-ups. They are resilient, flexible, resourceful and adaptable to tackle the unknown global markets and optimize their venture development with very limited means. These dreams are constructed often through a focus on foreign markets, where their ventures will unavoidably migrate. They will likely retain their product development team in country as long the cost arbitrage can justify the use of Argentine human capital. Their globally minded leadership will consider opportunities offered by programs like the now popular Start-up Chile, and similar programs offered by countries including Brazil, Portugal, Singapore and others in exchange for basing some aspects of their ventures to those locales. Argentina’s entrepreneurs are today’s hope of the country to retain some relevance, and for the rest we will continue crying for you Argentina! This entry was posted in My posts and tagged Argentina, entrepreneurship, peru, Wayra. Bookmark the permalink. Espero que hayas podido usar mi bio en la propuesta. I am argentine and I doing my MBA. Today I have to write about entrepreneurship in my country and your article helps me a lot to write a paper about that. Do you have a blog? Thanks. Cordiales saludos — Carlos B.